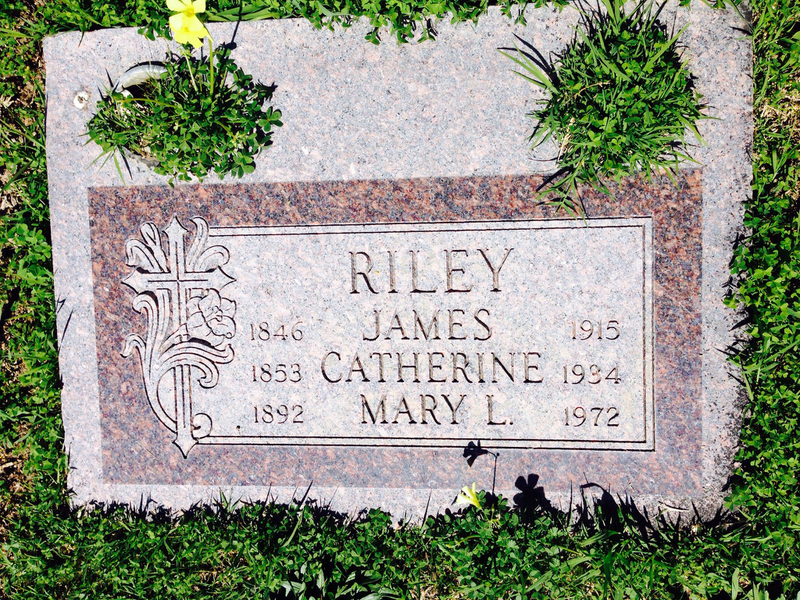 Mary L. (Riley) Jackson means very little to my family tree. She isn’t one of my ancestors. She is my great aunt. She married my great uncle, John Jackson, ca 1925. They divorced about 10 years later. I can go beyond her to the next generation easily. Yet, I feel compelled to research her. John’s story was a mystery to begin with. Color me surprised when I found John did not died as an infant as my grandmother had said. My grandmother and her brother were estranged. She only mentioned Mary in passing stating that they might have had two children.her in passing saying and the fact that they might have had two children.I know all about my other great aunts and great uncles. But, all I have on her comes from two census records. I made an effort to learn Mary’s story. My great grandfather, Harry Kenneth Jackson, is not only a genealogy brick wall, he has a moat filled with crocodiles around his history. John Jackson was the only son of Harry and Margaret (Jones) Jackson. John and Mary (Riley) Jackson were divorced sometime between 1930 and 1940. Like his father, he left very little information behind before his death in 1943. Researching Mary might uncover the two children my grandmother mentioned. I admit that I have ulterior motives. I have several DNA matches that seem to point to the English side of my tree. John was the only son of Harry and Margaret (Jones) Jackson. If there really were two children by John and Mary, their descendants might be within my DNA matching results. My first stop was FindaGrave.com. I found buried at St. Mary’s Cemetery in Oakland, Alameda County, CA with her mother and father, Catherine and James Riley. She died in February of 1972. I searched the 1940 US Federal Census next to see if I could find Mary after the divorce. I tried previously to find her and came up empty. This time I was lucky. The enumerator erroneously noted her surname as Reley. She was living at the same address she and John resided at. Just to confuse me, she is listed as Single, not Divorced. She was alone…no children were noted. Since I had her death date from FindaGrave, I searched for her obituary. 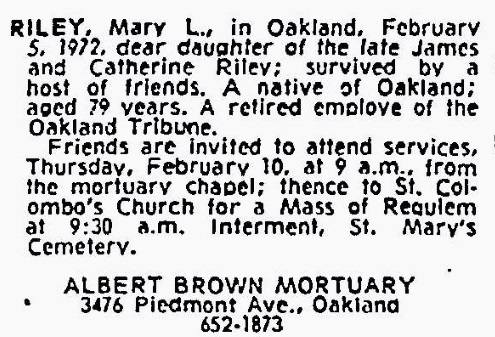 I was able to locate it in the Oakland Tribune newspaper.. She was using the surname Riley at the time of her death. It mentioned that she was an employee of the Oakland Tribune which meshes with what I already knew. There are no descendants listed, no siblings. It only says that she had many friends. I know from the 1910 and 1920 census that Mary had at least two brothers. Perhaps they proceeded her in death. Neither the 1930 Census, the 1940 Census, Mary’s obituary or John’s obituary mention children. Did they really have the boy and girl my grandma spoke of? There are a couple scenarios that could be at play. My grandma lost contact with her brother and sister-in-law in the early 1930s. It’s possible that they had two children but they died young. My grandma might not have been aware of this fact. It’s also possible that after the divorce Mary gave the children away. She might have given them up for adoption, they might have been put in foster care, another relative might have raised them. A single woman working for a living might have had it rough financially especially at the end of the 1930s. 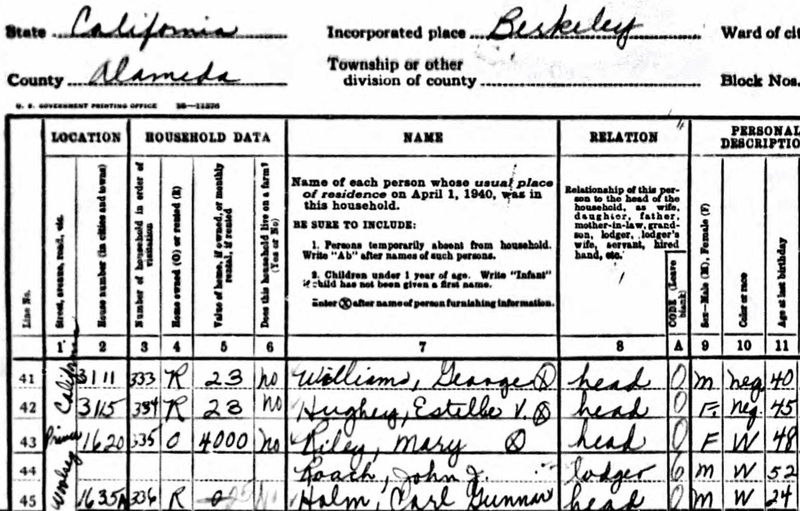 Just to be sure, I have searched through the California Birth Index for children born under father Jackson and mother Riley (with variant spellings). There are some entries, but none seem to be in the right area at the right time. The only other record that may reveal these children is the divorce proceedings. I have my grandparent’s divorce records. They are quite specific about what children they had at the time of the divorce, their ages, and child support. I’m not sure yet where they got divorced, put it is another avenue to follow. I was hoping for DNA purposes that there were offspring from this marriage. But, so far, the evidence shows that John and Mary did not have children. At least now, I have Mary’s information and can complete her story. I can close the book on Mary (Riley) Jackson. Better yet, I should give her her proper name, Mary L. Riley, since she went back to this after the divorce. Her genealogy journey is complete and her life story will be remembered. FindaGrave.com. Memorial for Mary L. Riley. Memorial no. 143082178. 1940 U.S. Federal Census, Berkeley, Alameda Co., CA, ED 1-90, Sheet 6B. Entry for Mary Riley. Oakland Tribune Newspaper, Oakland, Alameda Co., CA, 8 Feb 1972, page 19, column 4. East Bay Funeral Notices. Entry for Mary L. Riley. 1930 US Federal Census, Berkeley, Alameda County, CA, ED 1-276, Sheet 4A. Entry for John and Mary Jackson. Melody, this search which you completed is so inspiring to me. I am still looking for my grandmother Julia se Jesus Correia. I know I have all the resources and avenues to find her right now. I have to be able to see her in all this data. Your search has helped me see better. Mahalo nui ‘e Melody. Truly. Jody. Jody, I am so glad you find the stories inspirational. When I read about others’ research it hits me in the same way. Just knowing that someone else got over a brick wall encourages me. I hope you’ll uncover more on your grandmother. Whether I’m researching my own or reading stories like this one, I feel such sadness for the ones whose lives we can learn so little about, especially when they seem to have been loved, as your Mary Riley was. Thank you for sharing your route to this insight about your uncle’s wife. Kathryn, I agree. There is something sad about a person who spends their time on this planet but leave very little behind to remember them by. Woman are particularly victims of this. Often in old records they are only someone’s daughter, someone’s wife, or the Widow Murphy. I cringe whenever I see something like “Mrs. John Smith” because I feel that woman has a lost a little bit of her own identity in the records and it may be impossible to find who she really is.